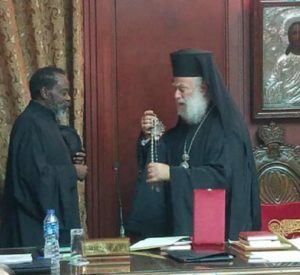 Today November 26, 2018, during the First day of the Holy Synod of the Patriarchate of Alexandria and all Africa, His Grace Innocentios Byakatonda was elevated to a Priestly rank of a Metropolitan and the Diocese of Burundi and Rwanda elevated to the rank of Metropolis of Burundi and Rwanda. 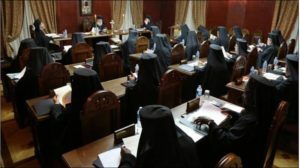 This appointment and resolutions to the Metropolis of Burundi and Rwanda were announced and passed by His Beatitude Pope and Patriarch of Alexandria and all Africa THEODORS II as the Head of the Synod. 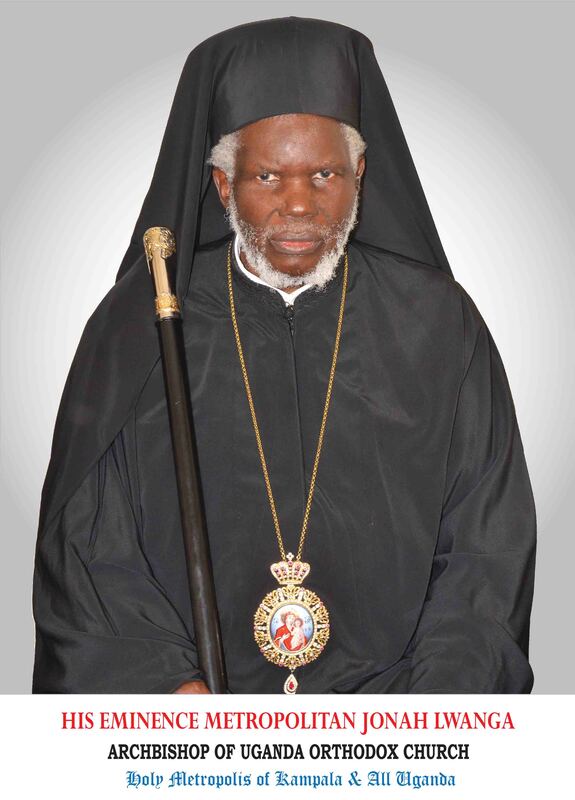 Born in 1967 in Eastern Uganda in the city of Jinja, Metropolitan Innocentios Byakatonda Studied in the United States at the Holy Cross Hellenic Collage in Boston and for long has been involved in service to the Orthodox Mission in Africa in different countries such as Kenya, where he served as a Vicar general and left a notifiable impact on the growth of Orthodoxy in that country as well as having an instrumental role in the prosperity of Makarios III Orthodox Theological seminary in Nairobi. 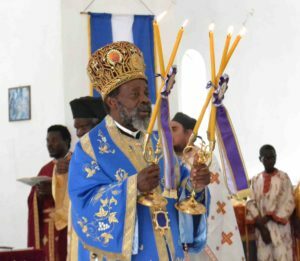 He has served as the Bishop of the Diocese of Burundi and Rwanda for a period of 6 years and he has continuously fronted the development of Orthodoxy in those countries respectively. Δόξα τω θεώ, Glory be to God!